When you max out your game before upgrading, your end-level time will be spent running troop upgrades and/or hero upgrades while builders have nothing else to do. Rushers do not experience this because they always have something the builders can be working on. The amount of time it takes to complete the game, troop upgrades and builder related upgrades (structures, heroes) can be found HERE. If you break down the numbers, you'll see why rushing, and keeping all builders/lab going, gets you on in the game faster. Secondary to these is the fun factor. Rushers get to experience more of the game and they get to it much more quickly. Whether it's troops or defensive structures, everything comes available sooner. You'll never hear a rusher saying, "I'm bored". When I rushed to TH9, and rushed another game from early TH7 to TH11, it was because I wanted to play with higher level troops that simply weren't available at the lower TH levels. Now, all this comes with a caveat - it assumes you rush strategically and that you put in the time to keep your builders and lab on the go. That's a huge caveat there and it means that rushing is not necessarily for everyone. There are a great many players who rush and have absolutely no clue what they're doing. They end up with premie games that can neither defend nor attack, are a liability in clan wars, and their gaming experience tends to be very poor. Many serious war clans won't even consider someone with a rushed game. These players often quit in frustration. I've already talked about rushing strategically earlier in this series. It requires a time commitment to keep builders and lab going, and a strong desire to reach the end game. Done properly, you can still war monger well (just make sure you upgrade war troops as well as farming troops) but your progression will be a bit slower for obvious reasons. If you're a more casual player, then rushing might not be the best choice for your game. I see two types of casual players, in general - ones who don't mind a long journey, and those who want maximum return for minimum effort. The former should max; the latter are unrealistic and do not typically last long at all, because Clash of Clans is just not a game where minimal efforts yield high rewards. You can rush or max the first five TH levels easily and quickly. TH6 can go either way. 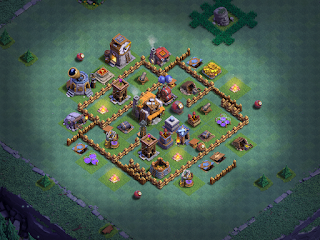 TH7 forms up the foundation for the game; I always recommend maxing TH7 or at least maxing everything but walls before moving up. TH8 is where the real max or rush debate begins and it's the first time builders REALLY go idle. TH8 requires 463 days of builder time and 148 days of lab time. Even if you have 5 builders and keep everything going non-stop, that's about 82 days of builder related upgrades to 148 days of troop upgrades. There's a LOT of walls to upgrade here at 500K gold each too. In fact, completing TH8 means raiding 252M gold, 71M elixir, and 438K dark elixir. That's WAY more than all of the previous seven TH levels combined. Rushing strategically, I typically hit TH9 in 3-5 months (depending on if I am warring or not). By comparison, a maxer will spend 7-9 months on TH8 alone, depending upon how much time he has to raid and keep those builders/lab on the go. That means a maxer will hit TH9 in about a year, maybe longer. In a year's time, a strategic rusher, who knows and understands the game (so not a new player or someone on their first ever game) can have a solid, defensible, TH11 up and running. That means access to all the buildings, troops, and even heroes. It means an offense that has the ability to do well in clan wars, certainly two star wins on other TH11 games and three star wins on TH10 and below. It means a defense that the typical TH11 player will have difficulty getting two stars against, much less three stars. A successful rusher, though, MUST plan and be strategic throughout the progression of the game. Rushing cuts both ways; do it wrong an you're just as likely to quit in frustration as the player who decides a game with a 3+ year arc is just too long. ...which comes out to about $17,000US to gem, BTW. A common argument in favor of maxing is that you'll have a better defense in the regular multiplayer game. This doesn't hold much water - a stronger defense tends to pull in stronger attackers with stronger armies. In either case, the result is the same/similar, especially in a game with little to no loot retention. In fact, the higher the TH level, the more storages and resource collectors you have, the wider you can spread them out, and the sheer volume of your game makes it more difficult to raid well so you end up better off in the long run. Much though I enjoy Clash of Clans, following a maxer's path all the way through to the end would bore me to tears; I'd quit LONG before I ever reached TH11, much less finished the game. I sometimes max through TH7 then rush, other times I rush to TH5, max there, then rush to TH7 where I max again before rushing to TH9. I enjoy maxing the lower TH levels - it feeds my OCD - however, my lack of patience outweighs my OCD at the higher TH levels. As I've said multiple times now - rushing is not for everyone. First time players, casual players, and those who intend to be serious war mongers, should all follow the maxer's path as should those who are particularly OCD about such games as CoC. If you're willing to put on the time and effort, plan ahead and think/act strategically...rushing might just be for you.